Take both tests and take them early and often, but don’t take them cold – do some prep work. There are plenty of free/low-cost resources– check the internet and ask your high school counselor. The ACT is accepted by all 4-year universities in the country, so if you have to choose only one, that’s it. I recommend taking the SAT first semester junior year, and the ACT second semester. 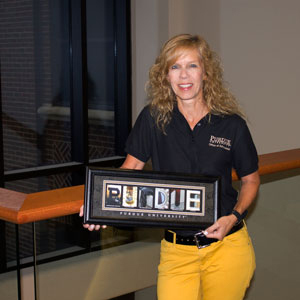 You’ll need to have the testing agency send your results to Purdue.